We have heard about Ajanta and Ellora quite a lot of times, they are well known and visited by many tourists. What we don't know are the certain places that are overshadowed by these famous monuments. Let us make a voyage around some unexplored caves in Maharashtra that are as beautiful as any other popular rock-cut architectures in the state! You might ask what is there to explore in such lesser known places? Each of these caves has different tales that are interesting to know. It is also incredible to see where and how they are built. Some caves even look like birds nest or dens carved out in the hills from a distant view. Isn't it exciting to explore such heritage sites in Maharashtra tourism? Pitalkhora Caves were one of the earliest cave structures in India. Carved out of the Basaltic Rocks, these rock-cut architectures date back to 3rd Century. Today, only some caves and sculptures exist as many parts have vanished over time. The Buddhist Viharas and Stupas in Pitalkhora Caves relate to Hinayana and Mahayana Buddhism. Most rock-cut architectures are Buddhist caves in Maharashtra. Pataleshwar is a cave temple dedicated to Lord Shiva. This unique cave temple has a cube-shaped sanctum supported by massive pillars. A Nandi Mandap is also built facing the inner sanctum. Pataleshwar is 8th Century architecture which was not completed. The actual reasons are not known but it is one fascinating heritage. A trek to the Bedse Caves will take you through the 1st Century Buddhist architecture near Khamshet. They are constructed in such a way that when the sunlight falls, the carvings look even more beautiful. Hence, an early morning visit to Bedse Caves is recommended. 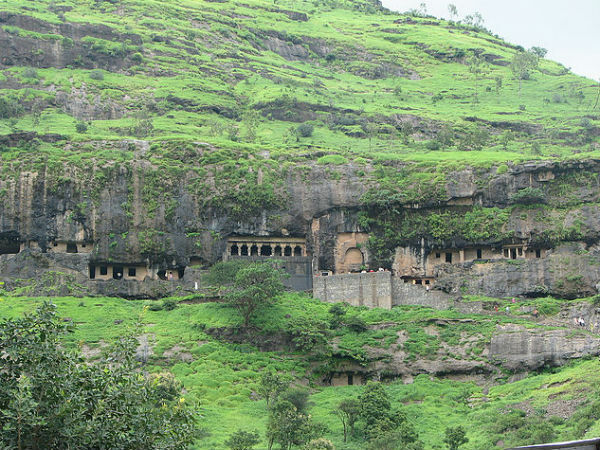 Karla-Bhaja-Bedse Caves are to completed together in Maval. Lenyadri Caves are more famous for the one of the Ashtavinayak temples. The Hindu temple in the cave number seven is more popular than the other caves in Lenyadri. There are 30 rock-cut Buddhist architectures with Chaityas and Viharas. The caves belong to the Hinayana Buddhism located in Junnar. The Shivleni Caves were excavated out of a hill and is one of the fine examples of Hindu rock-cut architecture. It is said to have been built by the King Udayaditya during 1060 - 1087. The large courtyard with the elegantly carved Shiva Temple is worth a visit. Pack your bags for a unique adventure around the stunning rock-cut architectures!